Prayer and simple living characterize the saint Mother Church offers to us today. 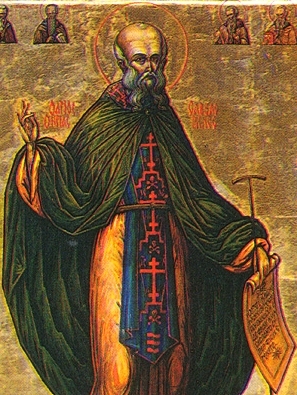 Saint Saba (439-532) is known for simple things, died at 93 of natural causes, dedicated himself to God; it is said that his vocation was to the anchorite way of life; he’s not a well-educated man. The Byzantine Church calls Saba “the Sanctified.” In monastic circles Saba is honored as being one of the great Patriarchs of Eastern monasticism. Said before on these pages, saints beget saints, Saba was a spiritual son of Saint Euthymius the Great and a collaborator with Saint Theodosius. 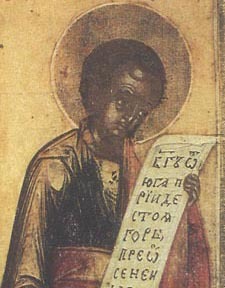 Saint Saba was the founder of a now famous lavra named after him in the Kidron Valley, close to Jerusalem, and Qumran (where the Dead Sea Scrolls were found). Saba’s lavra is the second oldest continually functioning monastery in the world, after that of Saint Catherine on Mount Sinai. Under Saba’s direction several famous saints are counted, men like Saint John of Damascus. He is an intercessor for rain, healings, and against temptations from the devil. 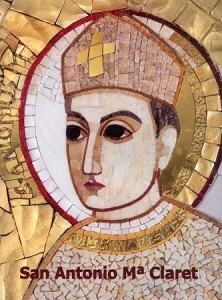 A previous post on Abbot Saint Saba is here. Commemoratio sancti Nahum, prophetae, qui Deum praedicavit cursum temporum regentem et populos in iustitia iudicantem. Have you read from the book of Nahum? Do you know where it is in the Bible? It is between Micah and Habakkuk. He is one of the 12 minor prophets in sacred Scripture. The prophetic message uttered by Nahum differs from other prophets in that he does not issue a call to repentance, nor does he denounce Israel for infidelity to God. Some scholars take Nahum’s work as history. 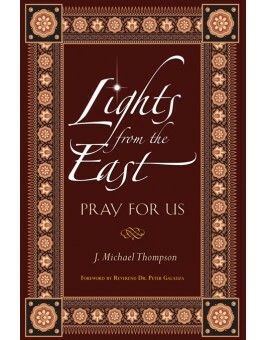 Historically, there is not much documentation on the Prophet Nahum. His name means “God consoles.” We know that he was from the town Alqosh (what is likely now Galillee) living close to the end of the Assyrian reign. Nahum warns Ninevah of its destruction (612 BC). Some members of the Church ask Saint Nahum to intercede on behalf of those with mental disorders. The Latin, Byzantine and Armenian Churches honor Nahum on different days. 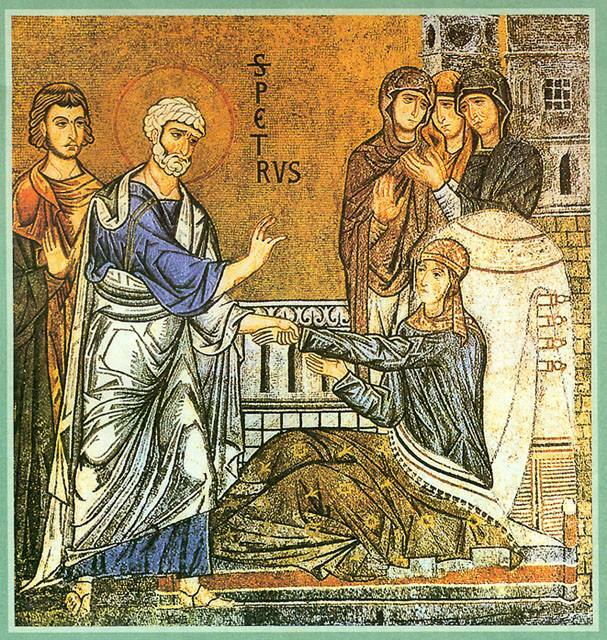 The Martyrology notes that today the Church venerates liturgically the memory of Saint Tabitha the Widow, who was raised from the dead by the Saint Peter. Most associate the name Tabitha with the TV character on “Bewitched.” However, let’s not just relate a biblical figure with TV fiction. The sacred Scriptures reveal in Acts 9:36 that the dead Tabitha was raised from the dead. Remarkable. Like Lazarus, and others, a follower of the Lord was given life on earth again. She was known to be a virtuous Christian woman belonging to the Christian community situated in Joppa. She was also a widow. What do we learn from the biblical narrative? “Ask and you shall receive,” the Lord to us. Do we actually believe these words? Hence, on a bended knee, Peter prayed that the Lord would restore Tabitha to life. After prayer, Peter went to the bed and called out, “Tabitha, get up!” She arose, completely healed. Saint Tabitha is the patron saint of tailors and seamstresses because she was known for sewing coats and other garments (Acts 9:39). Let’s live this pericope.